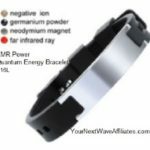 The EMR Power Quantum Energy Bracelet is made of soft eco-friendly silicone material and 316L stainless steel hardware with (5 in 1) Embedded Energy Elements: Far Infrared Ray, Negative ion, Neodymium magnet Germanium, and Tourmaline. Far Infrared (FIR) is the invisible band of energy from the sun’s spectrum that we feel as warmth. 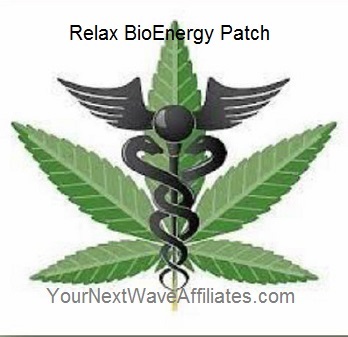 Far Infrared technology absorbs energy from all wavelengths and releases it into the Far Infrared wavelength. 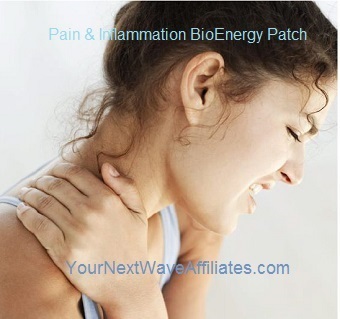 Far Infrared ceramic inserts absorb energy from various sources and release it into the human body for gentle warming to help support circulation. Negative ions have an invigorating effect on the human body. Positive ions can have the opposite effect, quite often inducing a feeling of tiredness. Negative ions are created naturally by energy associated with rolling surf, waterfalls, and lightning. The levels of negative ions present in different environments highlight the deficiency of negative ions in our everyday domestic environment. . 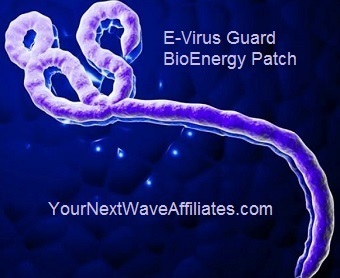 The EMR Power Quantum Energy Bracelet is infused with negative ion powder emitting 1000 ions per cubic cm. All physical and mental activity is controlled by electromagnetic fields produced by electro-chemicals (ions) within the body. Wearing an EMR Power Quantum Energy magnetic bracelet is a non-invasive way to apply beneficial magnetic fields to the body. This bracelet has an improved technology to provide Uni-polar Neodymium Magnets emitting 1000-1200 Gauss, which is ideal and safe for continuous wearing. Magnetic technology is used in many performance bracelets favored by professional athletes. Germanium Energy is a trace element used as a dietary supplement. Germanium has been shown to stimulate the immune system helping the body to fight disease allowing your own immune supporter to help you overcome disease. The Quantum Energy Bracelet contains 99.99% Germanium. Tourmaline is a trace element that soothes panic attacks, especially those caused by dark or confined spaces or in places where the atmosphere is frightening. It also helps control fears of doctors or dentists. Many people wear this crystal to protect against moaners, whiners, complaining neighbors, or emotional vampires who burden you with their problems while doing nothing to improve their situations. All bracelet sales are final. There are no returns for bracelets.